As the opioid epidemic continues to impact communities throughout the United States, it’s important to recognize seniors as a subset of the population sometimes overlooked in this crisis. Because seniors are more likely to experience physical issues that cause chronic pain, they are also more likely to be prescribed opioid medications than the rest of the population. They are also more likely to have risk factors such as comorbid medical or psychiatric conditions, which can increase their risk of addiction. Allen said that risk factors such as a history of substance abuse, behavioral health issues like depression or anxiety, past trauma, impaired cognition and other comorbid physical disorders can all contribute to the development of an opioid addiction. “If providers are going to prescribe these medications, it’s important to screen for issues that could lead to potential complications,” he said. Another factor contributing to the risks seniors face with opioids is a lack of information from the healthcare providers who prescribe the medication. A poll recently conducted by the University of Michigan Institute for Healthcare Policy and Innovation and AARP found that many seniors who are prescribed opioid medications are not educated on the potential dangers that can accompany them. 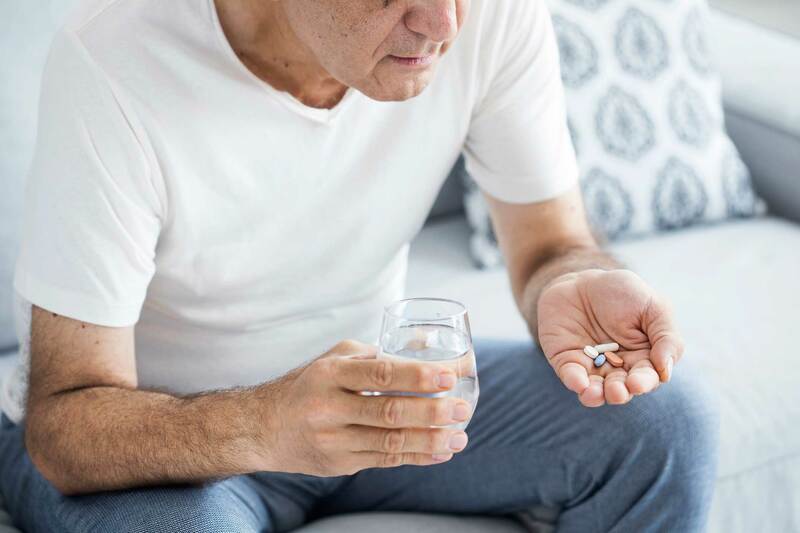 According to the poll, nearly one-third of the 2,000 seniors, ages 50 to 80, who participated reported that while their healthcare providers told them how often to take their prescribed medications, they did not go over the potential for addiction, overdoses and complications with other medications they may be taking that opioids can have. Allen said that besides educating patients about the dangers of opioids, it’s also important to educate them about alternative pain management strategies. “Studies show that medications like acetaminophen and ibuprofen are as, or more, effective than opioids for acute pain, with fewer side effects and less risks,” he said. Dr. Allen also notes that for chronic pain, don’t just settle for an opioid when antidepressants, antiepileptics, topical agents and non-medication options like physical therapy, cognitive behavioral therapies and others may work best. For more information about Hartford HealthCare’s Medication Assisted Treatment Program, click here or call 1.855.825.4026. For more information about the resources Hartford HealthCare offers to seniors, click here.